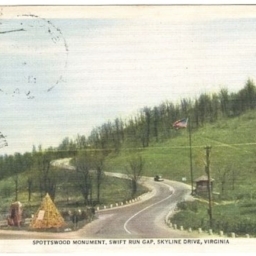 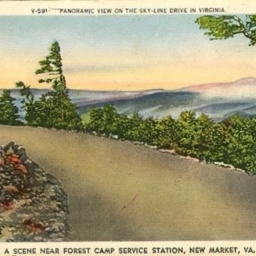 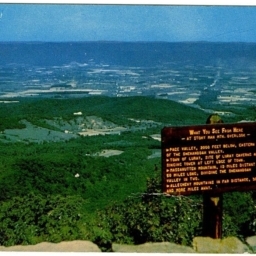 Postcard showing the view on the Skyline Drive and a poem "In Old Virginia"
Postcard showing a view from the New Market Gap a top the Massanutten Mountain. 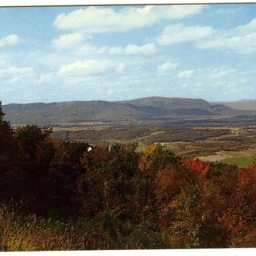 Photo was taken from near the Forest Camp Service Station. 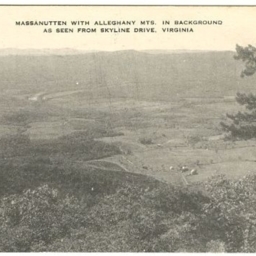 Looking south toward Browntown Valley from Skyline Drive. 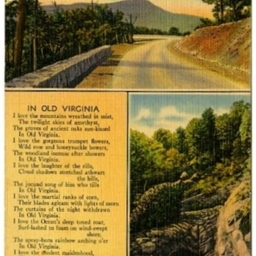 Color postcard with a picture of the Browntown Valley in Warren County Virginia taken from the Skyline Drive. 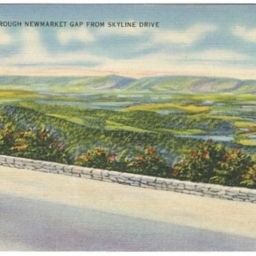 Color postcard with a picture taken from the Stony Man Mountain Overlook on the Skyline Drive in Warren County Virginia. 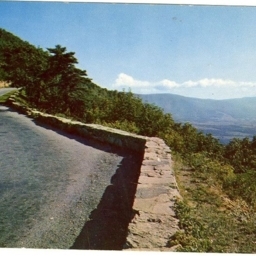 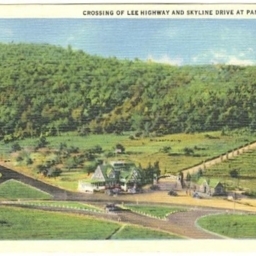 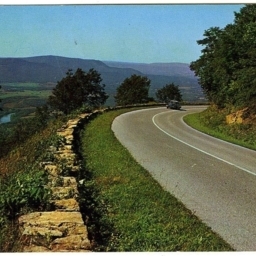 Color postcard with a picture of the Skyline Drive as it passes through Shenandoah National Park. 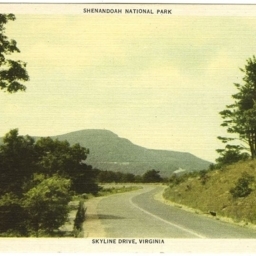 Skyline Drive & Shenandoah Valley, Va.
Color postcard with a picture of the Shenandoah Valley and Skyline Drive in Virginia. 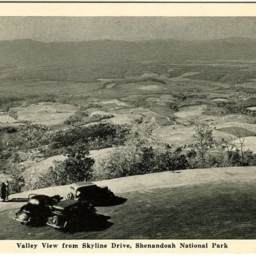 Postcard with a picture of the Shenandoah Valley taken from the Skyline Drive. 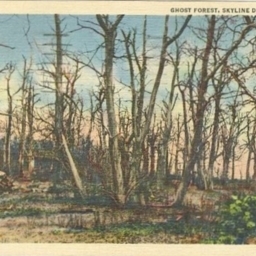 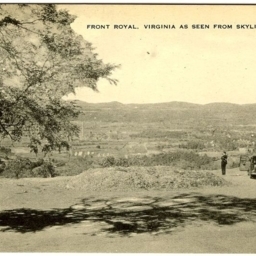 Postcard with a picture of Front Royal as seen from the Skyline Drive. 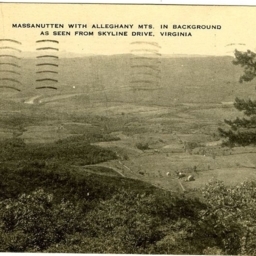 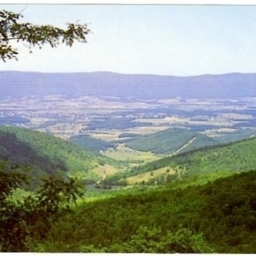 Postcard with a picture of the Massanutten Mountains as seen from the Skyline Drive.